The ongoing period drama Aangan is getting more interesting with each passing week and its captivating story keeps us hooked to every tiny detail about it! 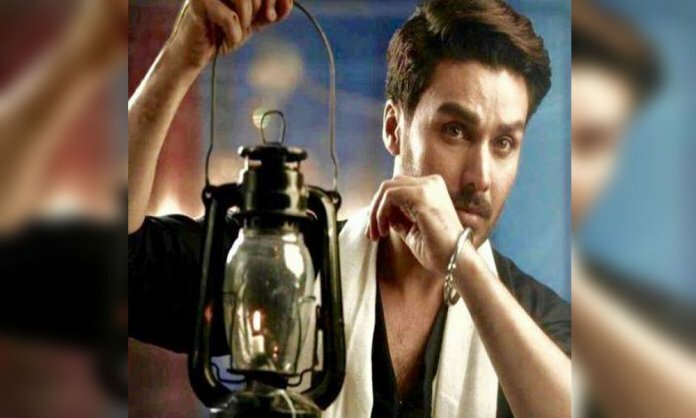 As the latest episode of Aangan revealed one of the major details that our favorite Ahsan Khan will be seen in two different roles in this drama and his fans can’t be more excited! It’s quite rare that we see one actor playing two roles in a Pakistani drama which makes this fact even more intriguing because the cast of Aangan is not just star-studded but it’s also huge! Jameel, Chammi Make First Appearance in Aangan and The Internet is Loving It! And if we can expect any actor to do this job just fine, it’s Ahsan Khan! Being a true performer, Ahsan Khan has already made us fall in love with Subhan and now he will also be seen as Safdar, Subhan and Salma’s son, and we can’t hold our excitement anymore. Although the much-hyped chemistry of Subhan and Salma (Ahsan Khan and Sonya Hussyn) was pretty short lived but it was enough to keep us hooked to the screens. Sadly enough, the love story of Subhan and Salma didn’t meet a fairy tale ending as Salma died after giving birth to their baby boy, Safdar. Last time we saw Subhan was when he handed Safdar over to his brother-in-law, Mazhar (Omair Rana) who was the last family member to see Salma in pain as she was suffering from Tuberculosis. The step taken by Salma to marry Subhan did shatter the family honor but Mazhar was the only family member who was willing to talk things out even then. His love for his sister didn’t stop him to go against the wish of his wife who didn’t want to take care of someone else’s child. Now, Safdar is all grown up into a young, handsome lad. We are yet to see how his character is going to develop in the later episodes but he seems pretty respectful towards Mazhar and his wife (Madiha Rizvi), even if she is not quite fond of him. Let’s hope that Safdar gets to see his father and it will be exciting to see how Ahsan Khan is going to execute this. Considering that he is a true performer, we can’t wait for that moment! Only Ahsan Khan Could play two different characters in one play!Subhan and safdar ! Great episode of #AANGAN Tonight So much goodness in this drama serial. Apart from Aangan, Ahsan Khan is also making it to the news as new pictures from the set of Alif, another hyped project is hitting our news feed every day. And, the actor also shared his first look from this drama as a ‘Darwaish’, proving he is up to another challenging role!